This unique and pretty star of David pendant makes a statement! 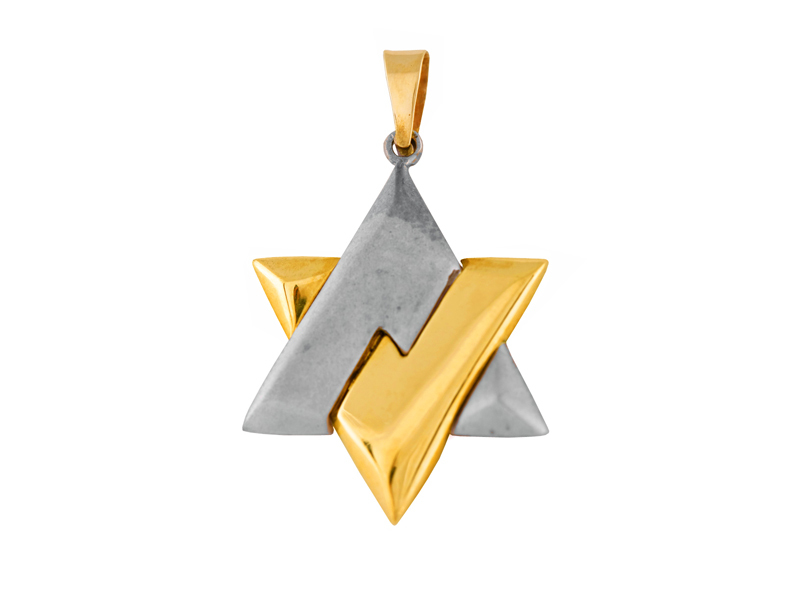 Designed with two tone 14k gold, this pendant features interlocking triangles creating the star of David. Pendant hangs from a smooth gold bale. A marvelous choice for a traditional yet contemporary show of faith!